You ride it and you love it. If not, we’ll take it back. It’s that simple. 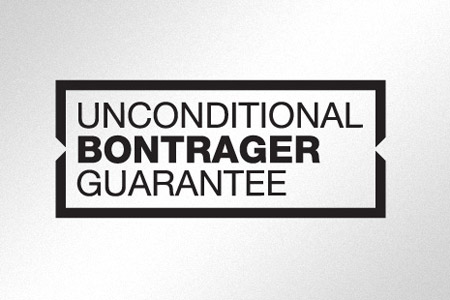 The Unconditional Bontrager Guarantee covers any Bontrager saddle, helmet, apparel item, shoes, accessories, or components not included on the original bike. The guarantee excludes Bontrager OE (original equipment) componentry sold as part of a bicycle.